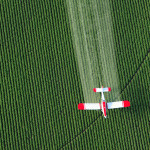 A recent report by The Oregonian found that enormous amounts of money are being spent by agrichemical and biotechnology companies in one Oregon county to stop an ordinance that would ban farmers from being able to plant genetically engineered (GE) Crops. This current legislative fight encapsulates the uphill funding battle that anti-GE activists face when organizing state and local level campaigns. The ordinance that will appear on the upcoming May ballot in Jackson County, OR, will ban the planting and rising of GE plants within the county. The ordinance also calls for the county to conduct inspections and allows enforcement through citizen lawsuits. Jackson County was the only county exempt from a law enacted last fall that made the state the regulator of agricultural seeds. The county’s measure qualified for the May ballot before the Oregon Senate passed S.B. 863, which preempts localities ability to regulate seed, so it was exempted in the bill. The bill preempts the efforts in Benton and Lane counties to restrict GE agriculture. Despite state preemption, Josephine County has a similar measure on the May ballot to ban GE crops. According to a recent report in The Oregonian, the ordinance is facing strong opposition from out of state funding sources. According to the report, six pesticide and plant biotechnology firms have donated $455,000 to Good Neighbor Farms, an organization fighting the GE crop ban. 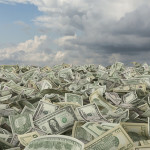 Pesticide and biotech firm Monsanto Company donated $183,294, GMO seed producer DuPont Pioneer $129,647, biotech firm Syngenta Crop Protection $75,000, and $22,353 each from biotech firms Bayer CropScience, BASF Plant Science and Dow AgroSciences. Good Neighbor Farms has more than $556,000 cash on hand which is a colossal amount for a local measure. The opposition to this measure has dramatically out-fundraised the two political action committees supporting the measure, GMO Free Jackson County and Our Family Farms Coalition, which have a combined $102,368 cash on hand. The lead up to this ballot measure is reminiscent of recent GE labeling efforts in California and Washington where anti-GE labeling efforts flooded the states with outside corporate money. One of the original concerns behind the ordinance is organic farmers’ inability to protect themselves from GE crops drifting or cross-pollinating with their crops. A recent survey by Food & Water Watch, Organic Farmers Pay the Price for GMO Contamination, found that one-third of U.S. organic farmers have experienced problems in their fields due to the nearby use of GE crops, and over half of those growers have had loads of grain rejected because of unwitting GE contamination. In May of 2013, USDA announced that unapproved GE wheat was found growing in an Oregon wheat field. After this discovery, Japan cancelled its order to buy U.S. western white wheat. Monsanto has not conducted field trials in Oregon since 2001 when it reportedly withdrew from the state. The bill, which would have given multinational agribusiness corporations the right to patent seeds they discover, develop or modify, was withdrawn by the Chilean government now controlled by newly elected members of the center-left coalition known as the New Majority, amid concerns that the law would bring harm to the country’s small and mid-sized farmers. Rincón has been a leading voice of opposition to the bill in the Chilean government, and part of a larger alliance of approximately fifteen organizations and elected officials across the country who have been lobbying and protesting its passage since the introduction of the bill four years ago. “We reject this law because it is a threat to family farms and to biodiversity,” said Lucía Sepúlveda from the Alliance for a Better Quality of Life/Pesticide Action Network of Chile. Last August, her organization and thousands of other Chileans took to the streets of cities across the country in mass protests against the law. 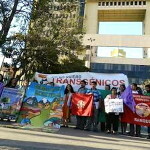 Sepúlveda explained that the Monsanto Law—derived from the International Union for the Protection of New Varieties of Plants (UPOV) 1991 Act—would allow companies to register patents for the vast majority of seeds in Chile, and require small and medium producers to pay those companies for the right to use similar seeds. This, said Sepúlveda, would create a barrier for small and medium producers to use strains of seeds that have been developed and used by farmers and indigenous communities in Chile for generations. Producers would be faced with renewing their seed rights every year for a high price, or leaving agriculture all together. “We’re left without farmers and without production,” said Sepúlveda. The steady decline of small and medium–scale agriculture is a growing problem for Chile. While the country is one of the world’s most prolific fruit exporters, many Chileans complain that the main importers of their agricultural goods such as Japan and the United States, have more access to quality produce than Chileans do. Large multinational companies generally produce solely for export, whereas small and medium producers produce for the domestic market, selling their goods at local markets or ferias. “It would erase the history of our grandparents, our ancestors who taught us how to care for and grow our seeds,” explained Muñoz. Environmental groups joined the fight with organizations like Anamuri because of the bill’s impact on biodiversity. Agri-business companies insisted that the bill would not allow for genetically modified organisms (GMOs), or foods, to be produced for the domestic market in Chile, but activists disagreed. “If the vast majority of seeds in Chile are registered, the traditional species of seeds will fall into disuse,” said Sepúlveda. GMOs are controversial around the world as environmental and consumer protection groups say they harm biodiversity and violate consumer rights because of their potential health effects. And the long controversy over the Monsanto Law in Chile is just one example of the struggle across Latin America between campesinos, small farmers and the corporate leaders of the global food industry. In Colombia, a national agricultural strike rocked the countryside in 2013 as farmers protested the effects of their own Monsanto Law that was included in a free trade agreement with the United States in 2010. 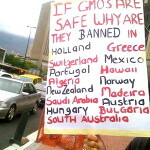 In Argentina, Venezuela and Mexico, seed patenting bills have similarly generated public uproar. The rejection of the law in Chile is being viewed as a triumph for rural and indigenous communities, yet for Chilean social and environmental activists, the struggle is not over. “There are three possible scenarios that could occur now,” explains Francisca Rodriguez of Anamuri and the Latin American Coordination of Rural Organizations (CLOC-Via Campesina). “The best would be that the president [Michelle Bachelet] agrees to permanently withdraw the bill.” However, the government could also choose to set up a mixed commission to investigate its impact, which would mean consulting social and environmental organizations as well as corporate organizations. The third and worst option in the eyes of peasant and indigenous rights groups is that the bill could be rewritten and reintroduced by the Agricultural Commission. “The corporate lobby is large and powerful and they will try to reintroduce the bill,” Rodriguez warns. Corporate stakeholders who seek to privatize seeds and facilitate the spread of GMO crops around the world face widespread resistance in Chile but continue to have the upper hand in terms of political power and wealth. If the seed patenting law does resurface in Chile, organized groups of women, peasants, and indigenous communities appear ready to continue to defend their rights to seeds and small-scale agriculture. “We need to keep insisting publically that the president withdraw it for good. We have to continue organizing,” concluded Rodriguez. Brazil’s Federal Public Prosecutor has asked the country’s justice department to suspend the use of glyphosate, which is the active ingredient in Monsanto’s Roundup—the world’s top-selling herbicide. In addition, the prosecutor has also targeted another herbicide known as 2,4-D and the active ingredients methyl parathion, lactofem, phorate, carbofuran, abamectin, tiram and paraquat, according to GMWatch. Actions have already been filed within Brazil’s court system, the first of which seeks to compel the National Health Surveillance Agency (ANVISA) to reevaluate the toxicity of the eight active ingredients suspected of causing damage to people’s health and the environment. The actions request a preliminary injunction which would allow the Ministry of Agriculture, Livestock and Supply to suspend the registration of the products until a final conclusion about their toxicity is reached by ANVISA. Regarding 2,4-D, the prosecutor has asked that the National Biosafety Technical Commission prohibit the widespread sale of genetically engineered seeds resistant to the herbicide pending a final position by ANVISA. The news comes as another huge blow to the biotech industry, following last week’s unanimous ruling by Brazil’s Federal Appeals Court that decided to cancel the cultivation of Bayer’s Liberty Link GM Maize, according to Agro Link. 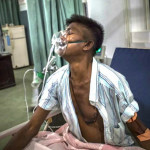 Two weeks ago, Sri Lanka ordered a ban on glyphosate due to concerns the chemical may be linked to a mysterious kidney disease that has killed thousands of agricultural workers, according to the Center for Public Integrity. On March 20, the Advertising Standards Authority (ASA) of South Africa ordered Monsanto to immediately withdraw an unsubstantiated radio ad that touted the benefits of crops containing genetically modified organisms (GMOs), according to AllAfrica. The ASA gave Monsanto an opportunity to substantiate its claims, but all the oversight organization received were links to documents on the agriculture giant’s website. Since Monsanto didn’t provide independent and credible data—which is required by South African law—the order was given to pull the ad from airing in the country’s heavily populated Guateng Province where Johannesburg is located. The ASA also told Monsanto to “ensure that it holds proper substantiation for its advertising claims” or risk attracting further sanctions. Last week’s news from the ASA follows a pair of other high-profile international Monsanto bans in France and Sri Lanka. Earlier this month, France’s agriculture ministry temporarily banned the sale, use and cultivation of Monsanto’s MON 810 genetically engineered (GE) corn—the only variety that has been authorized in the European Union (EU). Then, in an abrupt and surprising turn, Sri Lanka ordered a ban on glyphosate, the active ingredient in Monsanto’s top-selling herbicide Roundup, due to concerns the chemical may be linked to a mysterious kidney disease that has killed scores of agricultural workers.